Architects and planners are offered plenty of leeway for individualised spatial concepts and designing vision with The Vorwerk Carpet range. For years we’ve been bringing the concrete look into bathrooms on clients floors and walls, and now you can add concrete to your bathroom with our ultra-strength concrete sinks by Nood Co. 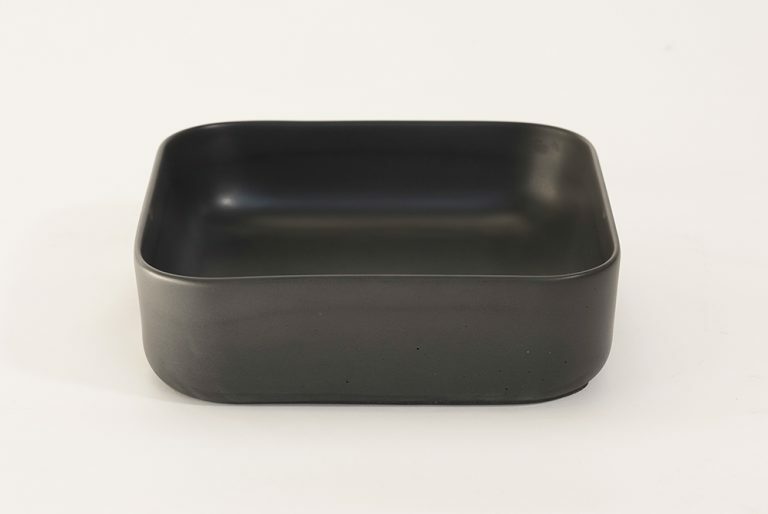 The Scandinavian inspired concrete sinks are available in various shapes and colours. Internal Use: Sealed with Nood Co Deep Seal Protection. Sealer is topical and hence it is important to closely follow the install and maintenance instructions provided. Product is water tested and approved prior to shipping. Sealer is zero VOC, food grade safe, UV Tolerant. External Use: Penetrating sealer. Concrete is breathable. The concrete will get wet and dry out, and gain natural character over time. Assembly: Product delivered assembled. Install, maintenance, and waxing instructions and maintenance wax are issued with each product. Maintenance & Waxing: Simply wash with soapy water and a soft, microfibre cloth. Avoid chemical cleaners and abrasive sponges and scourers. Please carefully read maintenance and waxing instructions prior to purchase. Lead Time: 5-7 weeks from date of order.